Thank you to our sponsors and partners. They help make the events possible – make sure you stop by and meet them at the event. Founded in 1988, Beacon is a full-service independent employee-owned investment dealer offering equity research, sales & trading, equity and debt underwriting and advisory services under the same umbrella. Beacon has a strategic presence across Canada and serves clients globally across many sectors with a strong emphasis on metals and mining. Our team is comprised of a diverse group of over 40 dedicated investment professionals located in Toronto, Montreal, Calgary, Halifax and London. Our idea-driven approach ensures that our clients, both institutional investors and issuers, are offered unique and innovative solutions to help achieve their goals. 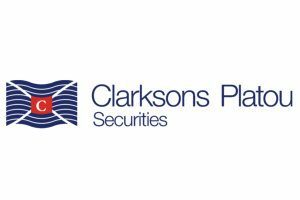 Clarksons Platou Securities (CPS) is a specialized Investment Bank solely focused on Shipping, Oil services, Metals & Mining and Renewables. CPS is part of the Clarksons group, listed on the London Stock Exchange and included on the FTSE 250 index. CPS is a fully licensed investment bank in the EEA and US/Canada, with offices in London, Oslo, New York and Calgary. Our major way into mining is through the shipping side where we are the world largest cargo broker and saw that with the proprietary data of Clarksons on world trade, we could better predict the performance of major mines. Since 2013 we have been nearly twice as good as the rest of Wall Street to predict the output from major miner such as Vale, BHP, Rio etc. by our top ranked research analysts. This has given us access to a very sophisticated investor base within the mining space. As an investment bank we are industry specialists so our brokers only focus and discuss shipping, oil services, metals & mining and Renewables with their clients. The synergies and specialized focus has resulted in a world leading placing power within the sectors which we focus on. Within these sectors we aim to be world leading, and as of now we have raised nearly USD 40 Bn for these sectors since 2010. For the Metals & Mining industry we have raised over USD 2.5 Billion during last two years. Haywood’s collective passion for the natural resource sectors, particularly mining and energy, is unmatched amongst its peers. The firm has successfully recruited and built a strong team of professionals who are ranked as one of the best teams providing junior mining exploration coverage, making Haywood a key player in the equity capital markets. Founded in 1981, Haywood Securities is a private, 100 percent employee-owned investment dealer with more than 300 employees with offices in Vancouver, Toronto, and Calgary, Canada. The firm has both institutional and retail groups with approximately $7 billion under administration and management. Haywood Securities (USA) Inc., is a wholly-owned subsidiary operating from Haywood’s Canadian offices, and is a broker-dealer registered to transact securities business, both retail and institutional, in the United States. AMS has operations in Ghana, Mali, Burkina Faso, Guinea, Senegal and Cote D’Ivoire. With a strong client focus AMS offers safe and cost effective load and haul, drill and blast, grade control drilling, pit dewatering, crusher feed, stock pile re-handle, associated civil earthworks and wet and dry plant/equipment hire to the African mining industry. In addition AMS provides an exploration drilling service through a modern and well maintained fleet of reverse-circulation, diamond and rotary air blast/core drilling rigs. AMS has built an enviable reputation for safe, competent, on time and on specification delivery of mining services across the African continent. AMS have the flexibility to operate under a wide range of contract styles ranging from a basic schedule of rates, through fixed and variable components to full Alliance contracts. AMS is committed to using the most efficient mining methods and cost effective approach to deliver agreed contract terms. We believe that the fundamentals of our operations such as caring for our people and the environment, being aware of the local community in which we work, and the effective utilisation of equipment, are all part of the overall plan that determines how we will go about our mining operations. AMS recognises that each and every mining task is unique, with differences in topography, access, remoteness for example all contributing to a requirement for AMS to be proactive and flexible in its approach. With the fundamentals in mind, AMS in conjunction with our Clients, develop mining methods that are best suited to a particular application and a particular style of working with our Clients. Bergen Asset Management is a New York-based alternative asset management firm that invests in high growth public and private companies around the world. Bergen has a substantial track record of successful investments in exploration and mining companies at various stages of their development. Real companies deserve a chance to differentiate themselves from all the noise. Our mission at VRIFY is to be a transparent source of information kept current by those with nothing to hide and everything to gain. Explore a portfolio of projects virtually from the palm of your hand and gain a powerful perspective through our interactive 360° tours, 3D models and future development plans from all around the world. See for yourself www.vrify.com. Founded in 2009, Yukon Mining Alliance (“YMA”), a strategic industry alliance of Yukon’s leading exploration, development and mining companies, is focused on creating innovative capital attraction initiatives to promote Yukon’s competitive advantages as a top mineral investment jurisdiction and it’s member companies and their Yukon-based projects. YMA’s initiatives include international “investment focused” roadshows, conferences, events and campaigns in the North American and European financial markets. 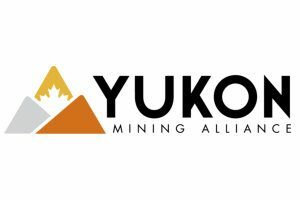 Funded largely by the member companies, YMA also receives financial assistance from Yukon Government. Independent Investment Research, “IIR”, is an independent investment research house based in Australia and the United States. IIR specialises in the analysis of high-quality commissioned research for Brokers, Family Offices and Fund Managers, distributing its research in Asia, United States and the Americas. On the equity side, coverage includes resources, biotech and technology stocks, with IIR also covering listed and unlisted managed investment companies. It has the capability to cover companies listed on a number of exchanges, including those in Australia, the UK and North America. To maintain its independence, IIR does not participate in any corporate or capital raising activity and therefore it does not have any inherent bias that may result from research that is linked to any corporate/capital-raising activity. IIR takes great pride in the quality and independence of our analysis, underpinned by high-calibre staff and a transparent, proven and rigorous research methodology. BRR Media has over 10 years’ experience producing live streamed and on-demand broadcasts carrying investor relations news. In the past 12 months, we have delivered over 10,000 IR webcasts from leading stock market quoted companies worldwide. At BRR Media, we are passionate about partnering with our clients to create and deliver world class investor relations content that engages their external and internal stakeholders. We excel in offering clients’ end-to-end solutions, from concept through production to distribution. We take that extra step by syndicating content to key websites to ensure that your message reaches qualified audiences. – not least, a committed, skillful teamthat delivers bespoke engaging content solutions. Guyana Goldstrike Inc. (TSX.V:GYA, OTC:GYNAF, FSE:1ZT) is a Canadian gold exploration and development company with a focus on near-term production and advanced exploration. The company’s operations are in Guyana, South America where its asset the Marudi Gold Project is under development. The project is 13,500 acres in size, contains a mineral resource estimate, a permitted mining license and remains 95% unexplored.